Iron reacts with chlorine, 1 of 4. 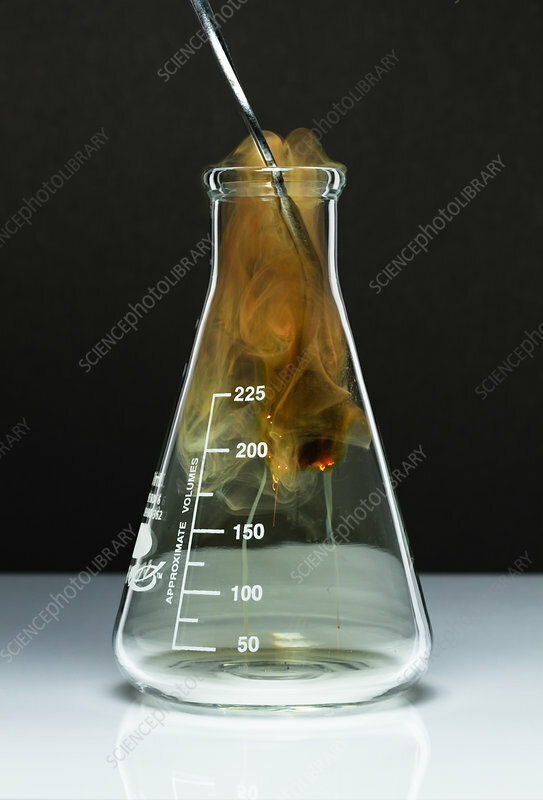 Steel wool (25-micron thin bundled steel filaments) is burning in an Erlenmeyer flask filled with chlorine (Cl2) gas. Steel is mostly iron (Fe). Yellow-brown iron(III) chloride (FeCl2) is produced: Fe + Cl2 -> FeCl3.